Custom 150X Cassegrain telescope coated for 10.6 um. 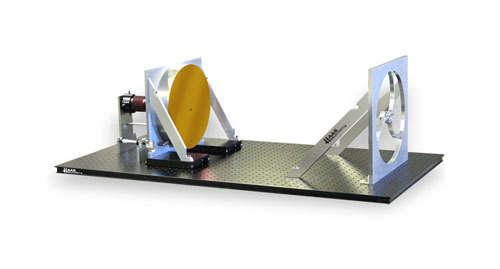 The 300mm objective mirror is diamond turned with a 200 nm finish. The telescope is adjustable and available with a wide variety of housings. Many variations of this design are available.